Sadly you can't sleep overnight in a bed store, so mattresses are obviously very difficult to purchase with full certainty of comfort. There is however a little more guidance regarding quality. All of those below are based on standard double beds of 4'6". Comfort, Support, Filling and Structure are the key words. Comfort is a little misleading because what might be comfortable for you may be less comfortable for me, but bed stores do their best to help guide you around terminology. Support is normally described in terms of firmness. Fillings are generally of a natural type, memory foam, latex and man-made. This in turn relates to the structure, which could mean pocket sprung, open coil, reflex foam and a variety of other closely aligned terminology. 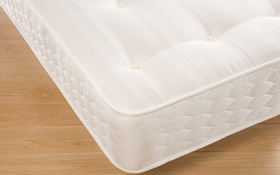 Of the different types of mattress, the most recent development has been Memory Foam. 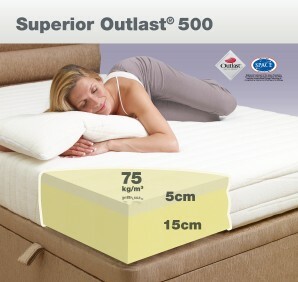 This Double Superior Outlast 500 is less than £250, but you will need to check against support and comfort ratings on their website. 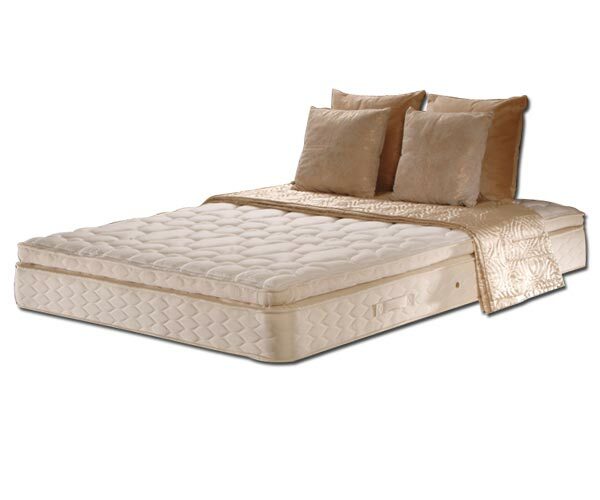 The most traditional type of mattress is the Pocket Sprung and while you may initially consider the more pocket springs the better, this is not the case and again, it's all about support and comfort. The phrase 'Orthopaedic Mattress' includes a medical phrase, so it must be good! Well, no. Some unscrupulous mattress vendors will make a mattress as hard as rock and call it Orthopaedic, so again, we would advise a visit to check. Another minor gripe we have with beds is brand names. This is a Sealy, and at £555 it is very reasonably priced. However, will it provide any more support of comfort than one that suits you perfectly and has the correct comfort and support?